Flippen Group founder and chairman, Flip Flippen, was named the 2016 Friend of Education by the Sam Houston State University College of Education at a black-tie event on March 11th, 2016, in Huntsville, Texas. Beginning in 2005, the annual event recognizes four selected alumni as Distinguished Educators and a single recipient for the Friend of Education award. The Distinguished Educator honorees for 2016 were Ms. Mary Hanks, superintendent of Friendswood ISD; Dr. Wanda Bamberg, superintendent of Aldine ISD; Mr. Rick Kershner, assistant superintendent of Splendora ISD; and Dr. Rebecca Riley, president of Lone Star College. As the highest honor the Sam Houston College of Education bestows on its alumni, the Distinguished Educator award recognizes those who have made a significant contribution to the field of education and have demonstrated expertise or outstanding service in the classroom, school district, or community. The Friend of Education award honors an individual or business that has made a significant contribution in the education field. 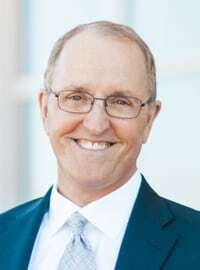 Flip Flippen founded the Flippen Group in 1990 to support and come alongside educators. Today’s teachers are tasked with raising the bar on student performance while competing against social, environmental, and outside pressures as never before. While researchers and officials work to determine the most effective curricula, teachers struggle to manage their classrooms and meet both parents’ and administrators’ expectations. 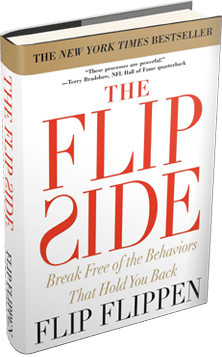 Flippen Group is a national professional development provider that aligns with what the research demonstrates – students are most likely to succeed when they are emotionally safe and able to reconnect with their natural curiosity. Flippen processes provide educators the skills they need to change the trajectory of students’ lives. Openness replaces defensiveness. Judging and feelings of being judged are replaced with acceptance and real connectedness to school. “Discipline problems nearly non-existent,” and “Academic achievement continually improving,” are common feedback following implementation of the highly acclaimed Capturing Kids’ Hearts processes.